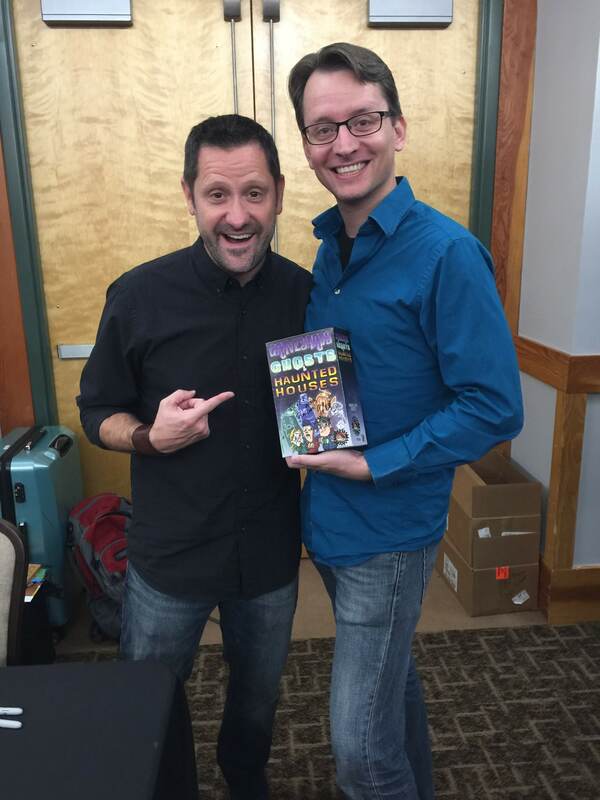 Greg Newkirk | What's YOUR Ghost Story? This post originally came out a week ago in our free paranormal newsletter. Sign up for that right here on our site at this link. 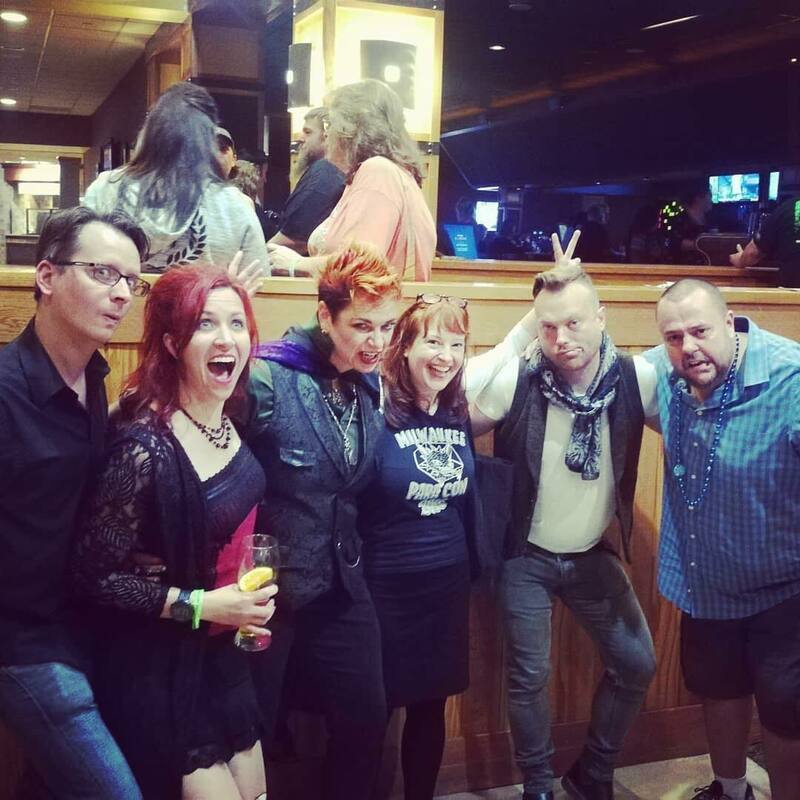 For the second straight year I headed to the Michigan ParaCon with a motley crew of paranormal nerds (Allison Journlin of Milwaukee Ghosts, Lisa Van Buskirk of Madison Ghost Walks, and two-thirds of the paranormal band, Sunspot and the hosts of the “See You on the Other Side” podcast, Mike Huberty and Wendy Lynn Staats) to hear the latest news from the biggest names in the game. Feel free to check out our preview video, which we recorded on Facebook live while stuck in construction traffic. If you’ve never been to an event like this, in some ways it’s like any other trade show. New products and merch are available in the vendor area (usually in the form of books, DVD releases and clothes) while the main hall features constant programming consisting of panel discussions and lectures. It’s a wonderful way to connect with fascinating people who share our somewhat unorthodox interests and to meet people we’d otherwise not have easy access to. Of course, one of the real treat is the exchange of ideas, experiences and theories. Naturally, a lot of the great first-hand chats happen after hours in the hotel bar (this is often worth the price of admission itself). Last year, among other amazing stories, we had a conversation with John Tenney, who had been asked to observe an exorcism. Talk about an amazing and unique (and damn, right – horrifying) story to hear straight from the horse’s mouth! Sometimes you start to see a shift in ideas when you attend these events. That concepts and methodology changes is exciting in and of itself. The latest theory that almost became a theme this year is perhaps easiest explained in conversation rather than written out. So, enjoy my attempt to throw a fascinating concept your way in the video here. Katrina Weidman and I talked at length about shadow people, individual stories and theories. I hope she’s working on a project on the topic as she seems very intrigued. 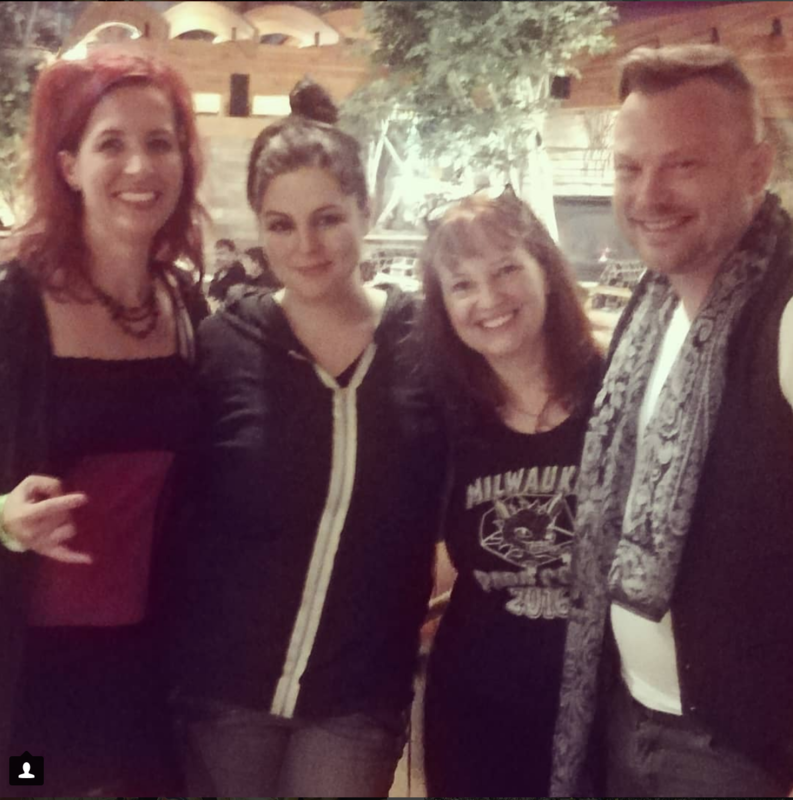 Wendy and I were both very impressed by the “Paranormal Lockdown” star who we first met two years earlier in Milwaukee. Her memory of our meeting was so sharp, you would’ve thought we hang out all the time. Finding myself in an elevator ride with Jeff Mudgett, HH Holmes descendant and subject of the recent series “American Ripper.” Jeff and I have known each other for several years at this point and it’s always exciting to hear the latest news in the quest to find out all there is to know about his infamous ancestor. 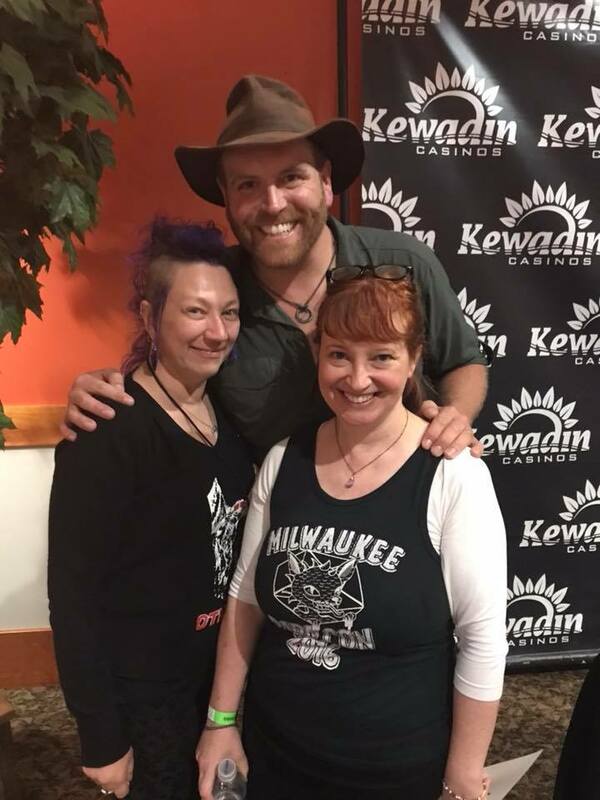 Meanwhile, Allison found herself sharing an elevator with Josh Gates of “Expedition Unknown,” which allowed her husband to gush to him directly over the phone. Getting to see Sunspot play live. Okay, I’m biased here, but take a look below for a recent live performance about staying the night in haunted locations. Let’s just say, they’re an ideal booking for a paranormal conference! 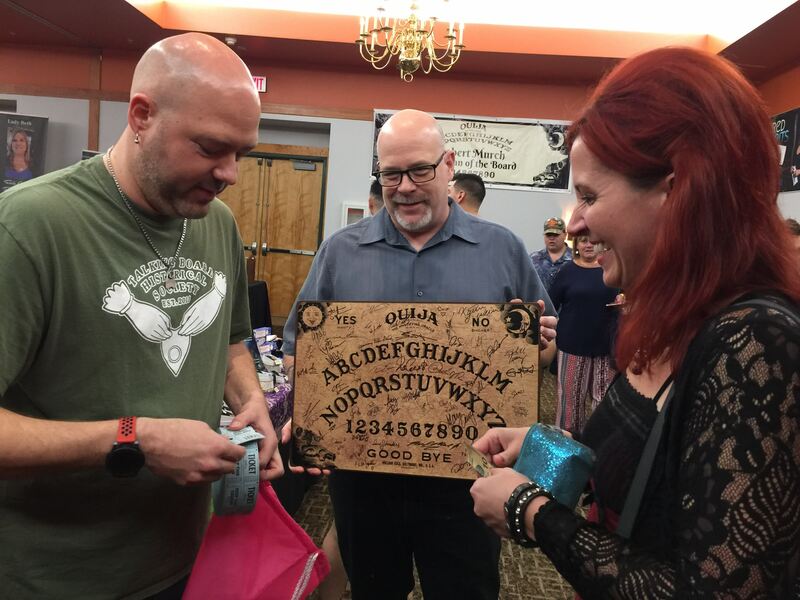 Of course, it’s also always a blast hearing the latest from Greg and Dana Newkirk and the Traveling Museum of the Haunted and Occult.